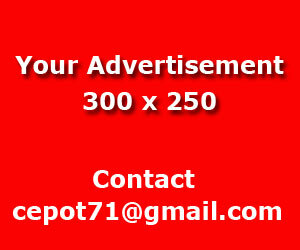 Are you a blogger or advertiser?. 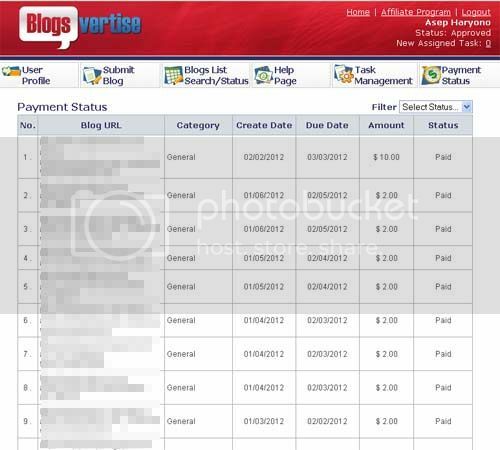 If you are a blogger then that is the right time for you to earn money from Blogsvertiser. 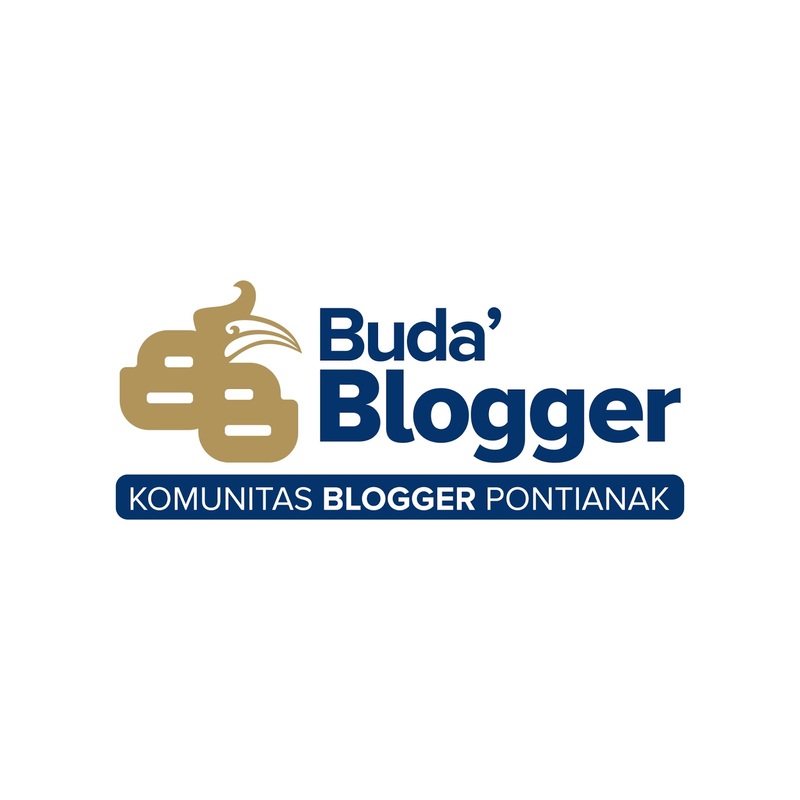 Do you know about the blogsvertiser?. 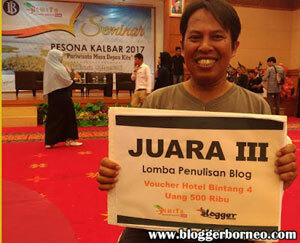 Have you ever heard about the blogsvertiser before. Some of you often heard about the blogsvertiser, and some of you don't. There are lots of making money programs on the Internet which can be chosen for your passive income. As we all already know that there are lots of online money programs that can be selected and chose for your own need, and they are free of charge. 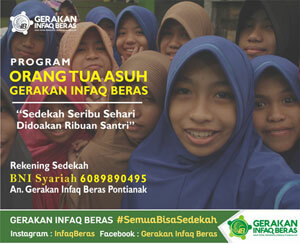 You do not have to pay at all to involve the program. What you have to do now is trying to participate more actively in producing and publishing your online content and start earning money. 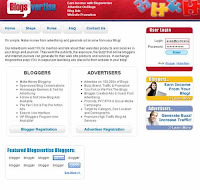 Unlike the Google Adsense that is very famous for adsense publishers all across the world, the blogsvertiser only available for bloggers and writing some articles, reviews and short experiences about the advertiser's product. The question that might arise from the blogsvertiser is about how the blogsvertiser works and give you money. Let's find the answer to the question. 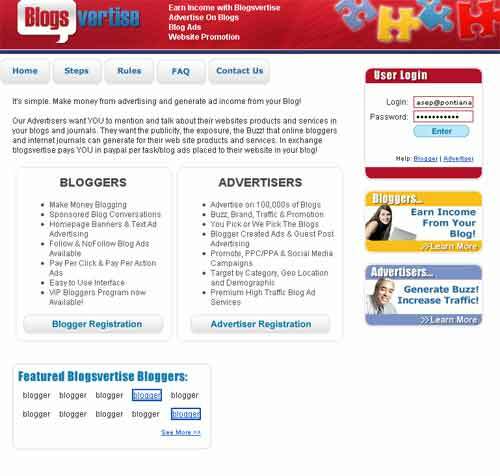 Basically the system valid in the blogsvertiser has been provided by bloggers or advertisers as well, and you can generate ads income and advertising from their local media partner and you have to provide your own online content or journal. You can earn money from your online content by writing a short story or reviews on any topics that have been delivered by the advertisers. The role of the administrator of the blogsvertiser will also arrange the task or assignments for any level of the membership at the blogsvertiser including probation and normal status as well. The main differences between the status of the membership often be considered by the value and total amount of the money can earn in any single article or reviews. In other words, you will be paid in any reviews or articles you have written about the advertiser's product, and you will be paid at least 30 days after the date of your advertiser have been accepted. You will be required to provide your verified paypal account due to the payment of the articles or reviews you wrote will be made by using the paypal. How much money that you can earn from the blogsvertiser for any single topic or articles including the reviews accepted by the advertiser? By the way, also would like to tell you that you have 'assignment' in my posting :D Hope you won't mind to do it hehehehe..